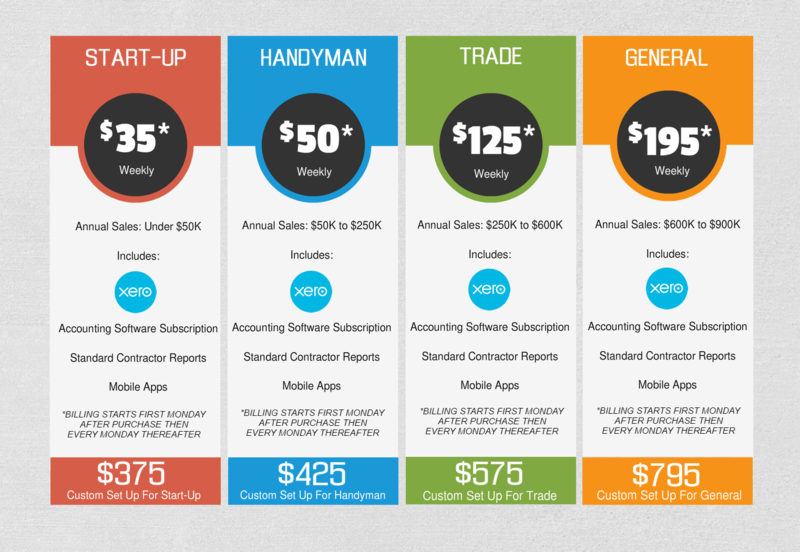 What Is Xero For Contractor? Cloud Based QuickBooks Outsourced Bookkeeping Services For Contractors All Across The U.S.A. We are headquartered in Lynnwood, Washington State, USA. We work remotely to meet your Construction Accounting and Construction Bookkeeping needs with QuickBooks and Xero Accounting Online whichever is most appropriate for your situation. We can perform a QuickBooks Setup, QuickBooks cleanup, customize your invoices, process payroll and generate QuickBooks financial reports. Serving Contractors Across The U.S.A.
We Help “A Little or A Lot” depending on your needs including on-going bookkeeping services. Remote web based QuickBooks for contractors bookkeeping, accounting & quarterly tax reports. 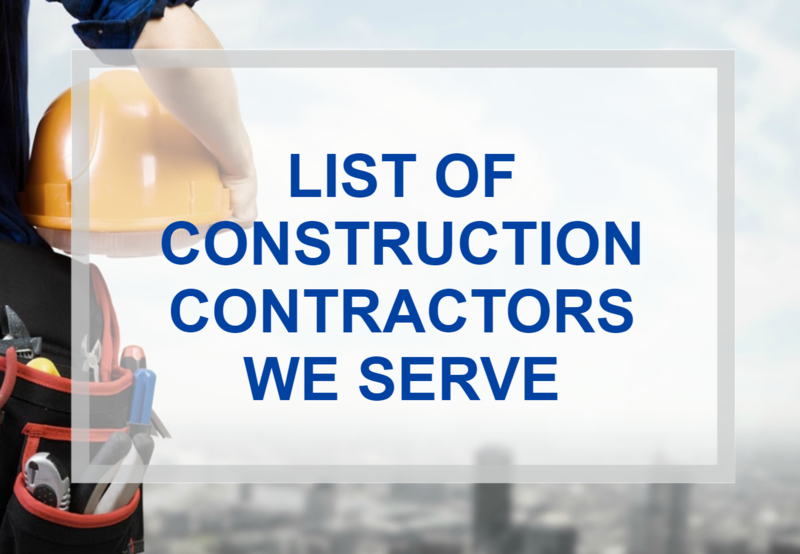 We specialize in contractors including general, specialty and trade contractors, home builders and commercial tenant improvement contractors. We Can Scan Your Important Receipts And Invoices to provide you with a CPA-ready packet for your tax return and we provide ongoing Cloud Based Contractors Bookkeeping Services by accountants who understand construction. 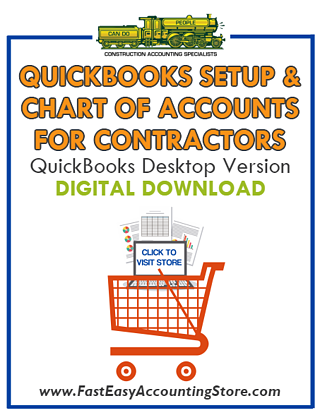 Contractors Who Need Extensive Financial And Job Costing Reports we use QuickBooks Desktop In The Cloud. We serve new and seasoned contractors in residential, commercial, remodel and home building who need professional grade contractor bookkeeping and accounting services including invoicing (Flat-Rate, Not-To-Exceed, Time & Material, Cost Plus), Washington State sales tax returns, payroll processing, quarterly tax reports, construction job deposits, work-in-progress, WIP, retention, residential and complex payment applications, liability insurance audits and business processes. For the “Best Value” we practice “Flat Rate” pricing whenever possible. There Is A Good Chance We Can Help You! 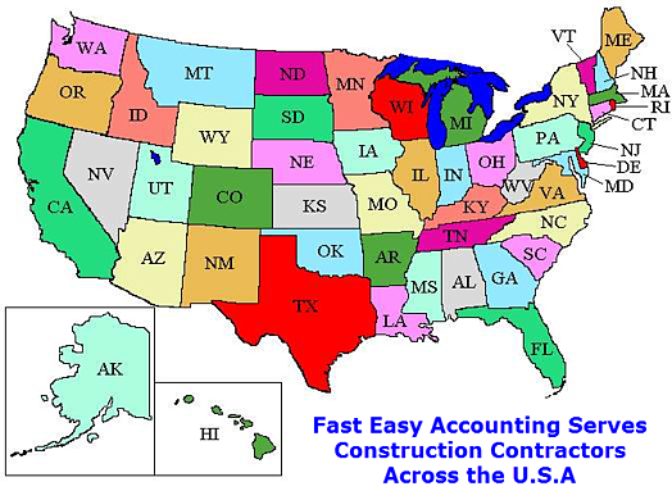 Construction Company Owners with specialty accounting and bookkeeping services needs. Our clients are brand new and seasoned small contractors in service and repair, residential, commercial, remodel and home building. Company Size there is no such thing as ever being “Too Small” Many of our clients are one person construction companies with an idea and the desire to be in business for themselves. Hiring employees is optional. Clients include busy professionals and independent contractors who want someone else to deal with their piles of paperwork so they can do “The Fun Stuff” which is what they do best. Whether You Are Working out of your truck, home, the local coffee shop, commercial office space or The SnoKing Contractors Center we are your best choice because we work remotely from our office in Lynnwood Washington. 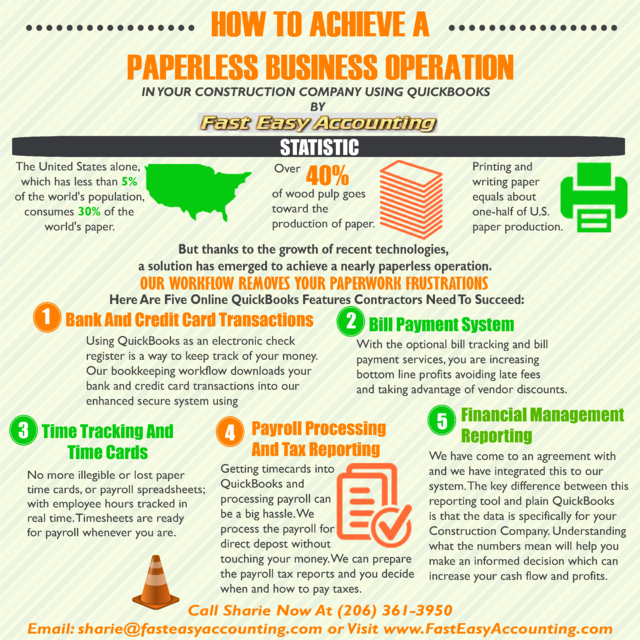 Bookkeeping For Contractors In The U.S.A using QuickBooks enjoy using the desktop version you are familiar with on the internet inside a highly encrypted secure multi-user environment. This system allows you and your employees to work in QuickBooks at the same time. All you need is an internet connection and you can save time, money and aggravation by reducing or eliminating computer network technicians. Your Bookkeeping Right And On Time Randal DeHart is "The Contractor's Accountant". I start by setting up or cleaning up your QuickBooks file to generate more accurate financial reports. 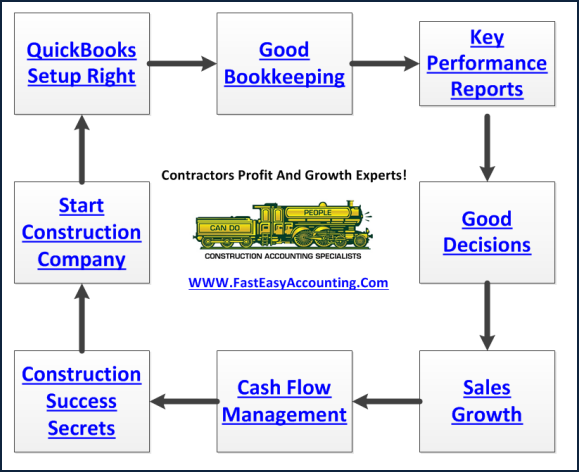 Then I focus on helping you increase your construction company's Profit and Growth. You Can Have Clean And Organized QuickBooks at lower costs than doing yourself or with an employee because we know what to do! Your tax preparer, banker, attorney and financial planner will be able to understand your QuickBooks reports and they will love you for it. Sharie DeHart Is "The Cash Accountant", also known as "The Fixit Lady". I am management working with you to help you increase your company's cash flow and helping you lower your taxes. In simple terms I show you how to "Get The Money Into Your Business", "The Art Of How And When You Pay The Bills", "The Dreaded Annual Insurance Audit", and dealing with "Government Forms". How We Work the phone call is the starting point of the relationship. I may receive an initial request of information by email (which I am happy to receive) In the end everybody gets to chat with me once, twice or even three times before making any kind of decision about our services. Initially we are chatting very informally over the phone. I look forward to discussing with you about how we can be of assistance to you. We Scan Your Receipts And Invoices link the appropriate transactions to QuickBooks depending on the construction accounting service you are using and provide ongoing Cloud Based Contractors Bookkeeping Services by accountants who understand construction.